The US govt. Shutdown only just recently ended, and it cost the economy 11 billion dollars. Folks are still reeling from the shock. Consumer confidence is still quite low, and things are only just starting to get back to normal. But there are still fears that another shutdown will happen on the 15th, so nobody is sure yet. 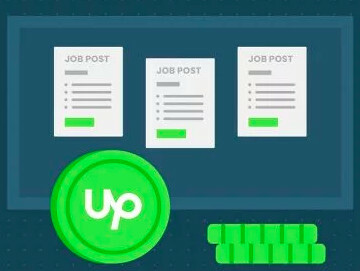 Since most Upwork clients are from the US, most of these tremors in the economy will have ripple effects in your Upwork job feed, and in clients' propensity to hire. All you have to do is exercise some patience, and hope that common sense will prevail in the US polity so we don't have another shutdown on the 15th of this month. I'm pretty sure he has more pressing things to worry about than a partial govt. shutdown in the U.S.
that´s the problem. i really need to work but what else! 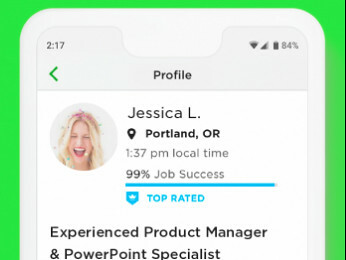 Amaechi A wrote: "Since most Upwork clients are from the US, most of these tremors in the economy will have ripple effects in your Upwork job feed, and in clients' propensity to hire." I'm not sure what part of the above—which is a well-established fact, and relevant to success on Upwork regardless of where one lives, and regardless of passing political and economic storms elsewhere—escaped your notice. Yes, I agree that Upwork is a blessing to the people in Venezuela, and is even more beneficial to them when U.S.-based clients are hiring and paying Venezuelan freelancers in larger numbers. Of course, the work that that U.S. leaders are doing to help Venezuela out of their current predicament far exceeds the benefit that Upwork provides to Venezuela. I'm sure that we all can agree that we want things to get better there. With the news from the past week, it looks like things ARE looking up in that country. If you think you do excellent work, you should raise your standard hourly rate - substantially. I won't pretend to know the "right" rate for the jobs you want to win, but try lifting the standard rate on your profile to, say, $30 per hour and then apply for different jobs at rates ranging from $20 per hour to $30 per hour and see if you start getting some responses and whether there is a pattern for which range of prices get you the most income (not the most jobs, but the most income). One of the hardest things for any new freelancer is finding the sweet spot for their pricing - it's pretty much a guessing game until you start having some success, especially if you don't do the same work in the offline world..
Upwork's predecessor made the pricing of winning bids public, which was big help in understanding where your own proposal fit in within the range of all proposals on a particular project. Upwork, for reasons unknown, has never had this feature. 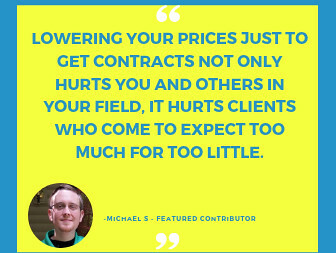 Another thing to consider is how to accomodate clients who want to price their projects in terms of cost per word/fixed pricing, rather than an hourly arrangement. I have never dealt with this sector, but maybe someone else here can give you some insights into how clients want their translation projects priced. I don't think South American English is well priced at $ 30 plus when you are starting out, but certainly way more than you are charging right now. Do your research. I would suggest nothing less than $ 15 an hour. Go ahead and be snarky and ungrateful for very good advice given to you. See where it gets you. Exactly where you are now: NOWHERE. What work could I show if I haven´t got any? Moreover I show samples of my previous jobs in every bid I send! Pointless if your proposal isn't being read. Portfolio items belong in your portfolio.